Herculaneum. 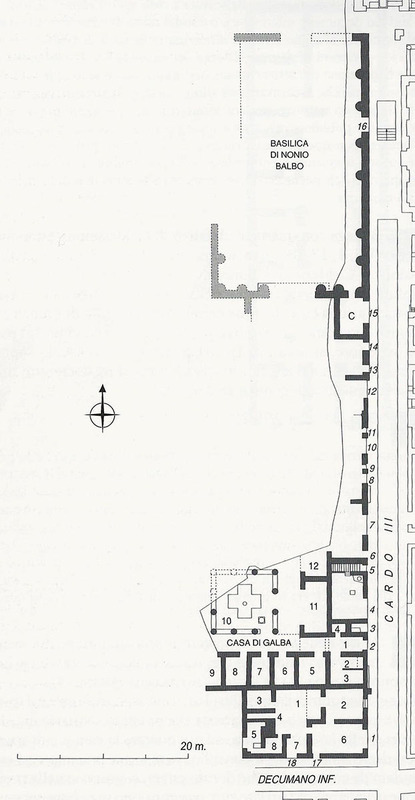 Plan of Insula VII. This insula is not fully excavated so the purpose of some entrances is unknown and shown with a "? ".